/ St. Patrick's Day in Destin Florida / $3 Irish Whiskey Shots & $7 Shamrock Juice St. Patty’s Weekend FRIDAY & SATURDAY! $3 Irish Whiskey Shots & $7 Shamrock Juice St. Patty’s Weekend FRIDAY & SATURDAY! Your good luck has already started cuz we’re spreading the green gold around FRIDAY and SATURDAY in celebration of St. Patrick’s Day 2017! Enjoy IRISH WHISKEY SHOTS for only $3 bucks and our LUCKY SHAMROCK JUICE for only $7 bucks! We even provide a floor for you to lay down on and snore comfortably. Just follow the loud, noisy sound of people having a great time down to 300 Harbor Boulevard in Destin to get your St. Patty’s good time rollin’ at Landshark’s! Previous Post: « SUNSHINE & GLORIOUS WINGS only 59¢ Ea. 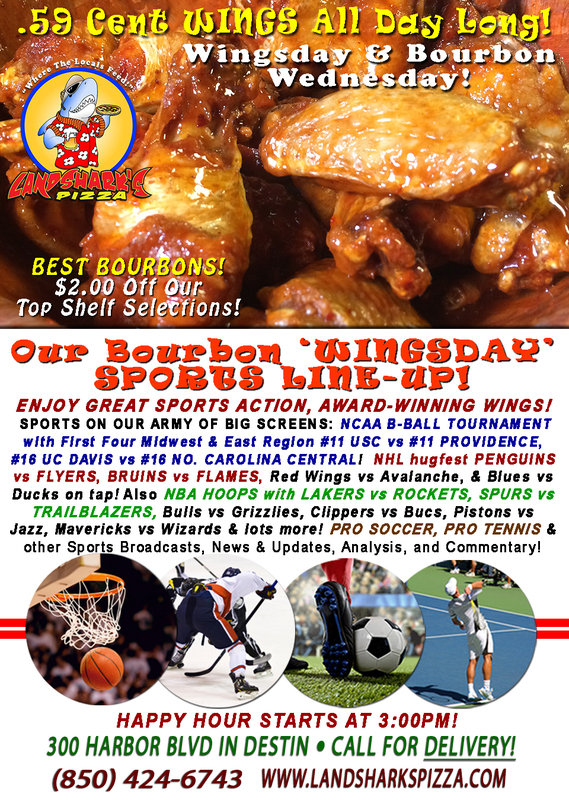 & Enjoy TOP SHELF BOURBON $2 Off! 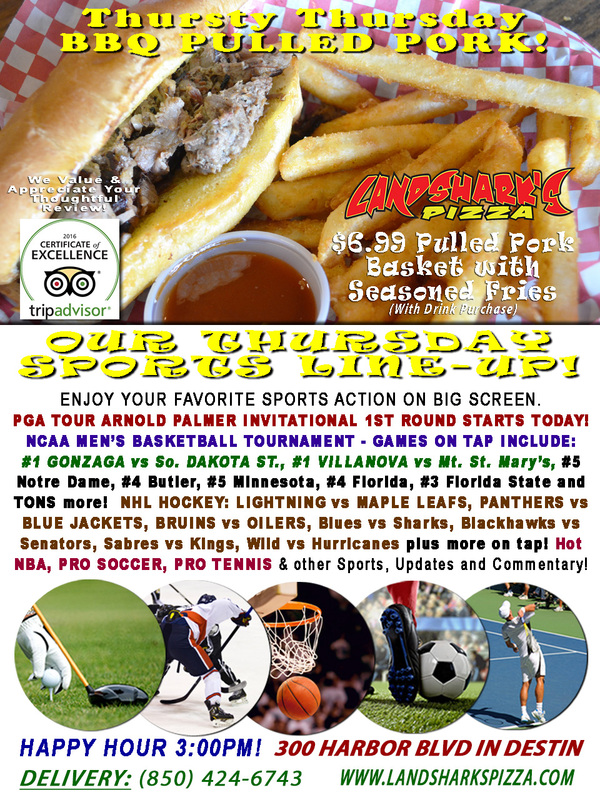 NCAA TOURNEY, NHL, NBA, Tennis & Soccer!